This week has been a long one, even though I had Monday off. For some reason – and maybe it’s the crazy humid but rainy weather over here – I've just felt so exhausted and busy, hence the lack of posts this week! I’m so glad it’s Friday and I can’t wait to relax tonight and get to bed early ahead of this weekend’s festivities. Jim and I have quite the adventurous, sporty weekend planned...first up is Wimbledon! We don’t actually have tickets, but word is you can go day-of and wait in a queue for ground passes which get you into the Wimbledon area so you can walk around and feel the excitement. The downside is you have to get there super early (we’re talking between 6 – 7 a.m.) but I’m willing to do it for the love of tennis! The ultimate goal for the day is to be lounging on the lawn watching a match with a Pimm’s and strawberries & cream (a traditional Wimbledon dessert that’s bound to be delish). Wish us luck! 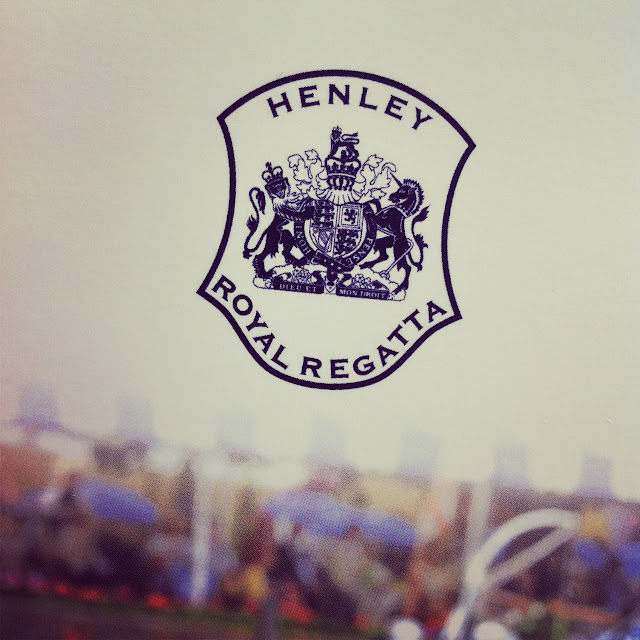 On Sunday, we’re headed out of the city to the Henley Royal Regatta (note the beautiful photo above from the package our tickets arrived in last week!). I hadn’t really heard of this until I moved to London, but the Henley Royal Regatta is the best known regatta in the world – a real highlight in English summer sporting events and social calendar. It attracts thousands of visitors over a five day period (which started earlier this week) and there are over 200 rowing races. I’ve heard from my friends and co-workers that the best part is hanging out in the Enclosures (or viewing areas to watch the races) where you can enjoy a Pimm’s and finger food in the sunshine (well, hopefully if the weather holds out)! Our tickets will get us into the Regatta Enclosure, which is a step down from the Royal Regatta (we weren’t posh enough for that). My biggest dilemma here is what to wear – apparently people get pretty dressed up so I’ve got to find the perfect dress and heels for the occasion. I just wish I had a fascinator! 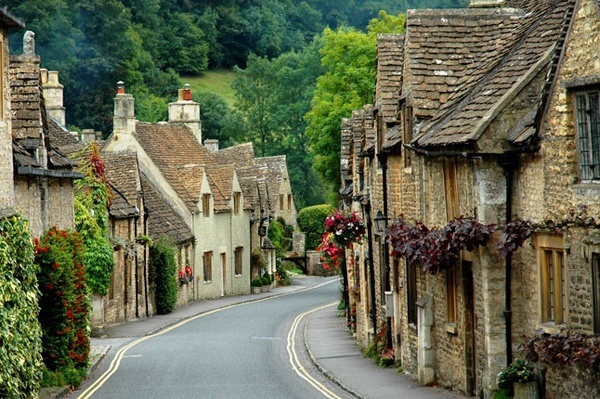 I’ll share photos from the events next week – along with pictures from our weekend in the Cotswolds. 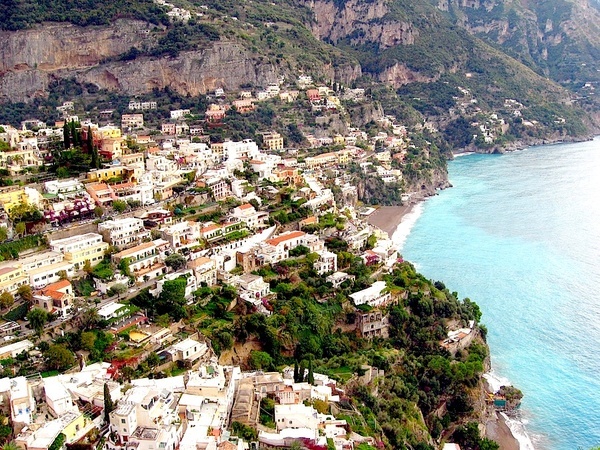 If you’re headed to the Amalfi coast, definitely think about making Sorrento your ‘hub.’ Along with being a gorgeous beach town, it's also really close to the other surrounding coastal towns like Positano and Capri. Our hotel (Grand Hotel De La Ville) was excellent and had the most relaxing, tranquil rooftop terrace and pool to unwind at the end of the day. Heaven! There was the most beautiful lemon grove right next to our hotel that we’d walk through it each day on our way home. The highlight was seeing the cute little Italian lady selling limoncello in the middle of the grove from a makeshift wooden bar. Limoncello is a hot commodity in Sorrento since the lemons are so plentiful – in fact, they make lemon anything – chocolate candy, lemon butter, lemon soap, you name it! In the end, we didn’t end up spending loads of time in Sorrento besides our dinners out and a few afternoons, but we did love strolling down the little cobblestone streets surrounded by the honey-coloured buildings, eating gelato and soaking in the sun. If you’re in Sorrento, make sure to stop by the famous Gelateria Primavera where they’ve got to-die-for flavours like Snickers, Bounty Bar and Mars! On our last day in the Amalfi Coast, we took a trip to the infamous Pompeii. Ever since studying Latin and learning about Mt. Vesuvius at school, I’d always wanted to see the lost Roman city up close. For about €10, you can walk around the ruins which are remarkably well-kept and see how the people of the town used to live (and also how they perished). There were tons of people there on the day we went, but we still managed to see all the important parts like the old brothel, the amphitheatre and the old shops. Highly recommend for the history fans. 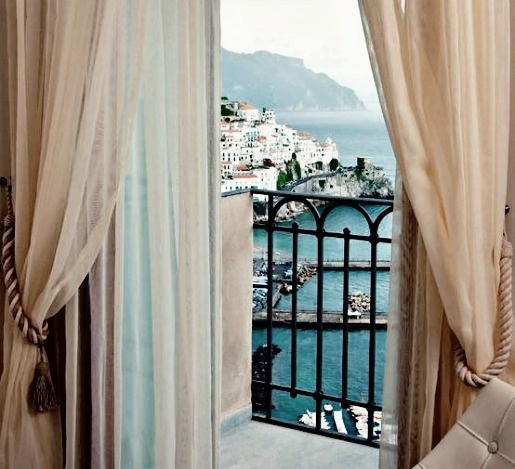 That's all for the Amalfi Coast...next stop: Florence! After a day of sunning ourselves in Positano, we headed to the Capri, a little island about 30 minutes off the coast of Sorrento. When we arrived by ferry, we paid for a little boat to take us around the island and the into the famous Blue Grotto. We cruised down around the island admiring the gorgeously clear turquoise water and coastline dotted with colourful villas and yachts. Once we got to the Blue Grotto, we had to wait about 20 minutes to be transferred to tiny row boats which took us inside. The entrance is so small that you have to lie down in the boat to get through! Once inside, all the Italian men rowing the boats sing and chant which echoes throughout the grotto and actually sounds pretty cool. Look at that water! Once out of the slightly clausterphobic grotto, we hopped back on the boat and toured the rest of the island, ending up at Marina Grande. From there, we took a little tram up to the main town in Capri, where you can shop the designer stores and maybe spot some celebs! Unfortunatley no such luck for us, but the views of the ocean made up for it. While in town, we had the most amazing coconut gelato in a hot waffle cone – sounds a little iffy, but it was so darn good. We’d heard good things about Anacapri, a little town on the island that’s further up than Capri, so we took a short bus ride to check it out. By the way, the buses are miniature – like half the size of normal buses – and of course, I loved them! 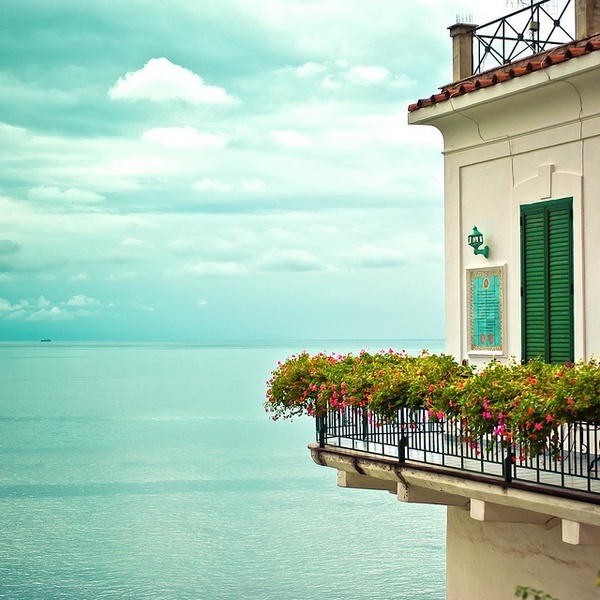 Anacapri is filled with tiny winding streets and white-washed buildings – just so picturesque. We grabbed a fresh caprese sandwich from a little deli near the bus stop (only €3!) and spent an hour walking around the town. If you make it to Anacapri, I'd recommend the Monte Solaro chairlift ride from Piazza della Vittoria, which takes you up to the highest point of the island. It's about €10, so a little pricey, but worth it for the incredible views! Next up on the Italian tour: Sorrento & Pompeii!